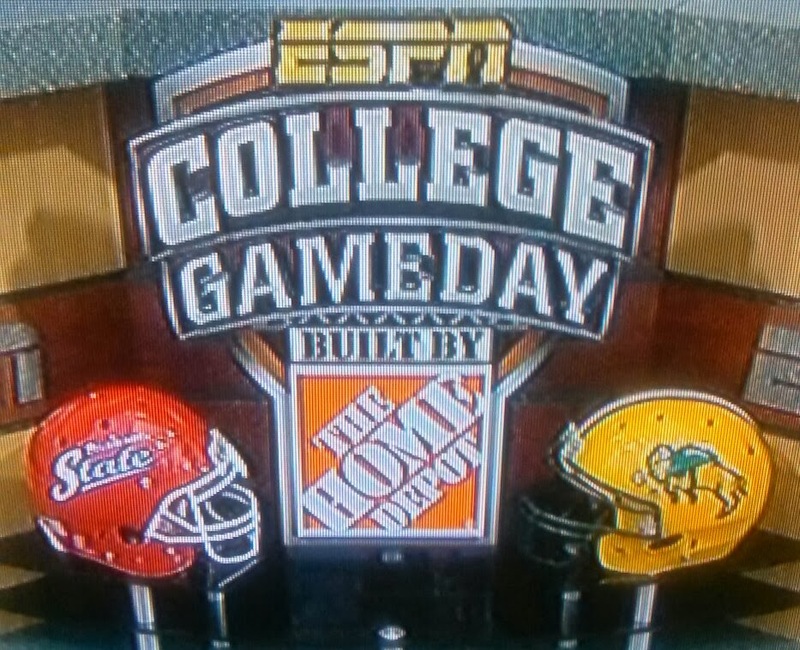 The Delaware in me - and if you know me, you know there's plenty - feels compelled to weigh in on today's College GameDay, headed to Fargo, ND for a matchup between Delaware State and North Dakota State. This may be one of the oddest GameDay matchups ever. The selection seems to appear at the nexus of two realities: A desire to honor the FCS level, specifically the two-time defending national champion North Dakota State Bison, and a weak slate of games at the FBS level. While that's noble, I'm not sure they'll shake the weak slate problem by attending this game, which is likely to be among the more lopsided GameDay matchups. The two-time defending national champions will take on the winless Hornets. In FBS terms, that's Alabama versus South Florida this year. More than the inequity on the field, though, the crowd is likely to be exclusively Bison fans. Typically, because of the high profile of the game, visiting fans have a presence at GameDay. I even - very briefly - questioned if the Approaching Storm Marching Band would travel from DelState. But the trip from Dover to Fargo likely takes roughly six days and involves at least one transfer by stagecoach. And simply playing the demographics: DelState is an HBCU, albeit one of the more diverse ones, and the black population of North Dakota weighs in at a meager 1.2%. Combine this with the Hornets' relatively small alumni base, as a smaller institution, and the fact that even if you factor in non-alumni local fans, Delaware ranks 45th in total population (which still eclipses North Dakota's 48th) and you're not likely to se a whole lot of red and blue in Fargo. 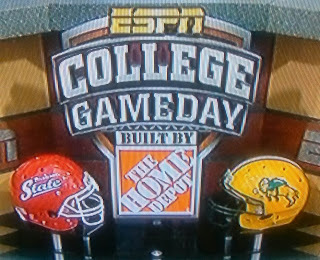 I'm glad GameDay is giving FCS some burn, but it seems to me that if they are driven by the game or even the stories, they may have picked a different game, even from NDSU's slate, like the matchup with Northern Iowa. But given what's in front of us now, I'll be rooting for the improbable and backing my home state.